A Roman Catholic diocese has closed two Catholic schools in a West Virginia county this year, citing low enrollment. Local news outlets report the Roman Catholic Diocese of Wheeling-Charleston announced Thursday that All Saints Catholic School in Moundsville will not reopen for the 2017-2018 school year. The announcement follows the closure of Bishop Donahue High School. The closure of the K-8 school comes to years after its opening. Only 32 students enrolled for the upcoming school year, leaving most grades with four or fewer students. The diocese said in a statement that there were no plans to close the school prior to receiving enrollment numbers. All Saints offered lower tuition than the other four area-Catholic schools. 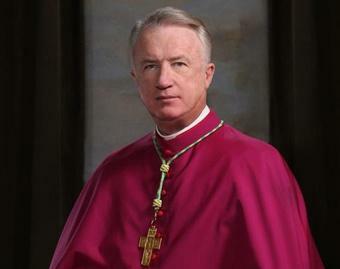 Bishop Michael J. Brasnfield has announced a $1,000 scholarship for students continuing at another diocesan school. Marc Harshman, poet laureate of West Virginia has just seen his second full length collection of poetry published by the Vandalia Press at West Virginia University called Believe What You Can. On this week's episode, we’ll hear from a midwife who started delivering babies in the early 1970's. We find out what it’s like to deliver a baby at home. And we speak with one doctor about why she opposes home birth. We also visit a famous hippie commune in Appalachia that's said to be the birthplace of modern midwifery.